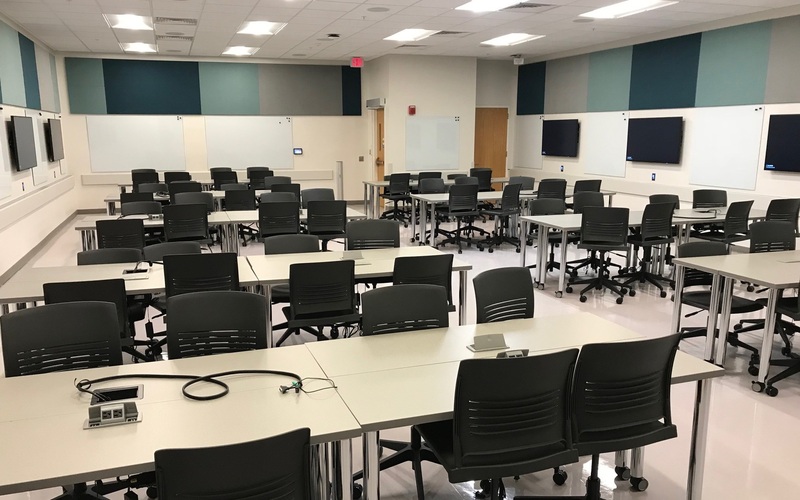 This project completed by Petry-Kuhne included combining and remodeling of classrooms to create a 78-seat collaborative classroom and an additional 30-seat classroom. Upgrades to mechanical and electrical systems were also included. Petry-Kuhne has completed a large number of similar projects which provides an insight in working through unexpected and difficult site coordination items allowing us to expedite the critical path schedule - resulting in high quality projects turned over on time, every time.